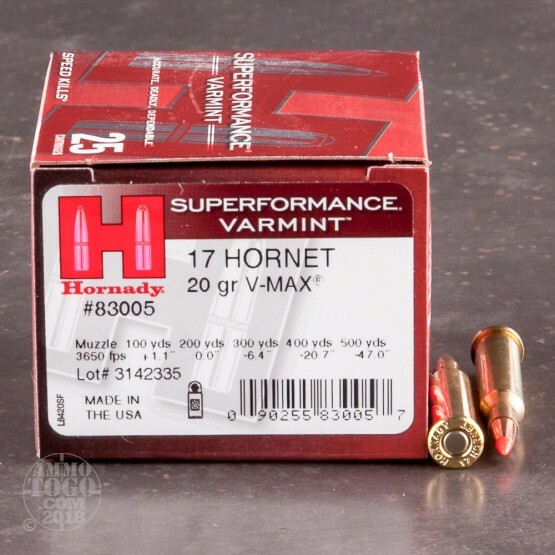 Hornady’s Superformance Varmint line of ammunition isn’t designed to strike fear into the hearts of troublesome rodents -- it’s designed so that they won’t even realize what hit them at all. This 17 Hornet cartridge delivers an increase in muzzle velocity of up to 200 fps out of any rifle that fires it, resulting in increased range, significantly less wind drift, and a flatter trajectory. Although its trajectory is comparable to that of a traditional 223 Rem load, this round only recoils like a 22 WMR. You’ll be the varmint Terminator. 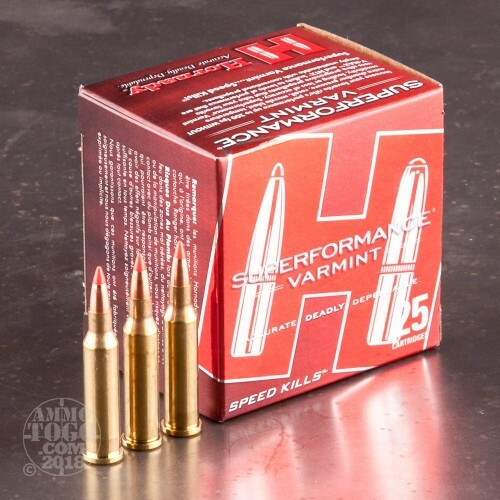 This round features Hornady’s own 20 grain V-Max projectile. 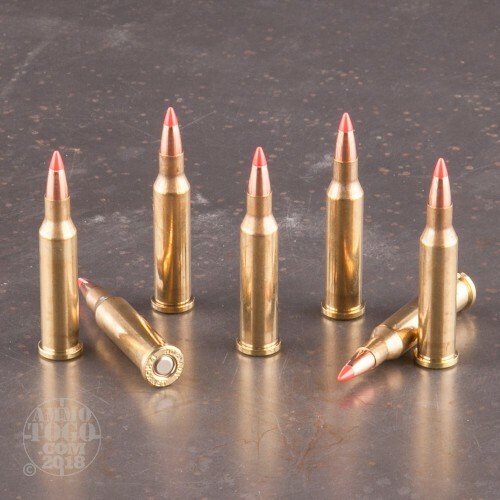 It’s an exceedingly accurate bullet thanks to its streamlined profile which provides optimal bearing surface, as well as its pointed polymer tip. 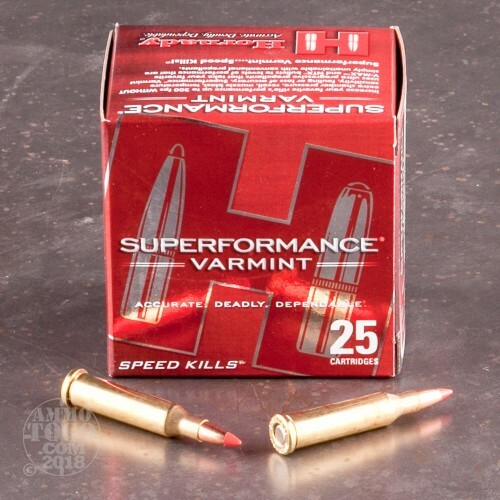 Upon impact that tip will jam instantly into the cavity within the V-Max’s swaged lead core, initiating violent fragmentation made all the more potent by the bullet’s concentric and match grade AMP jacket.